Spiral binding is often called Coil Binding, Plastic Coil, Plastikoil or EZ Coil. 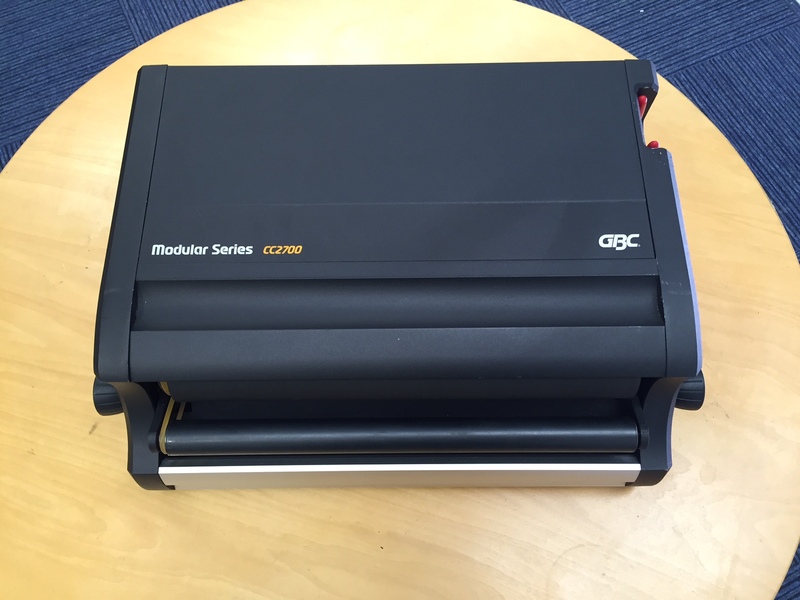 Using a spiral coil binding machine you can add energy and colour to any business document. Your pages can rotate 360 degrees allowing the document to be folded back on itself or opened flat. Plastic spirals are virtually indestructible making it a perfect solution if the documents are intended for mailing. N.B The pages will go out of registration when turned. (The left hand side will drop lower than the right) Spiral Binding is suitable for binding documents up to 28mm. 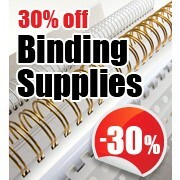 Whatever type of binding machine you are looking for, we carry a huge selection and offer unparalleled advice. A Renz Modular Electric Motor Drive can be fitted to an RW 360, SRW 360, eco C 360, eco S 360, SPB 360 to upgrade all these machines to electric ‘comfort’ binding machines. 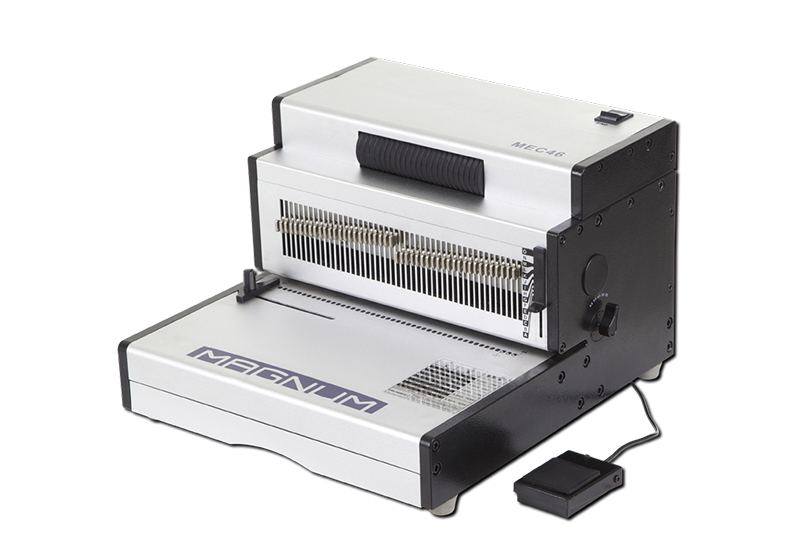 The Magnum MEC46 is an electric spiral binding machine that has been designed to fit in to any working environment and make binding easier and quicker. With its full metal construction it is a heavy duty robust binding system that will last. 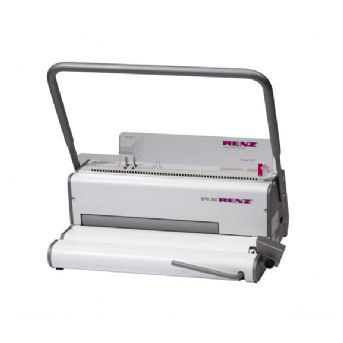 It’s reliability and efficiency are second to none and make binding very simple for the operator. No special training is required. Operated by foot pedal and is very user friendly. 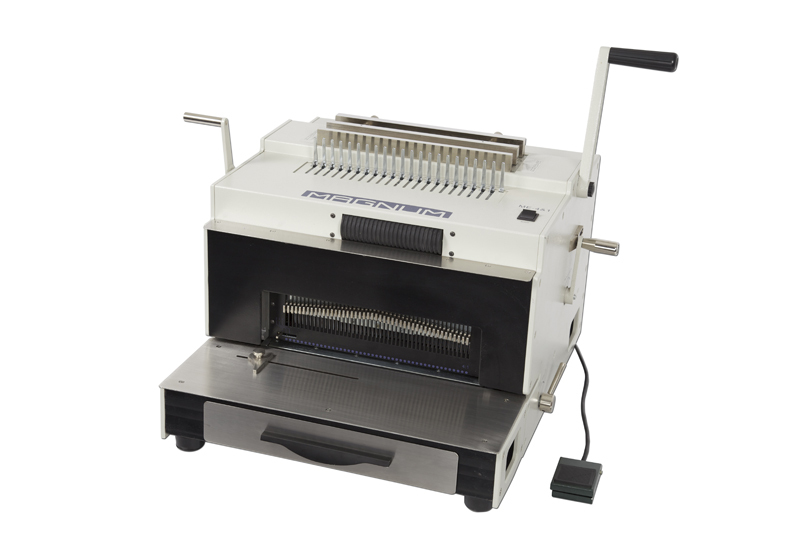 The Renz SPB 360 Spiral Binding Machine is a manual operated punching machine with electrical coil insertering unit. It is also complete with an intergrated cutting and crimping unit to make the trimming of spirals easy and productive. 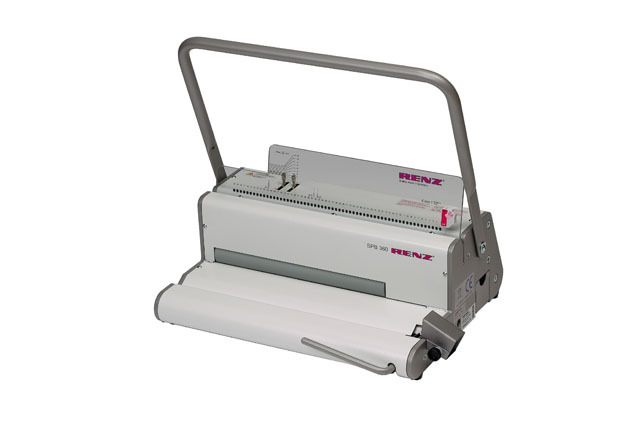 This machine has the ability to be upgraded to a comfort machine by adding an electric module to make punching the paper quicker and easier for the operator. This machine is 4:1 pitch but we also sell the 6mm pitch machine on line. 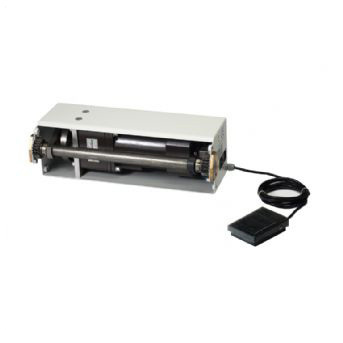 The GBC CC2700 Coil inserter machine will bind documents up to 305mm quickly and easily. 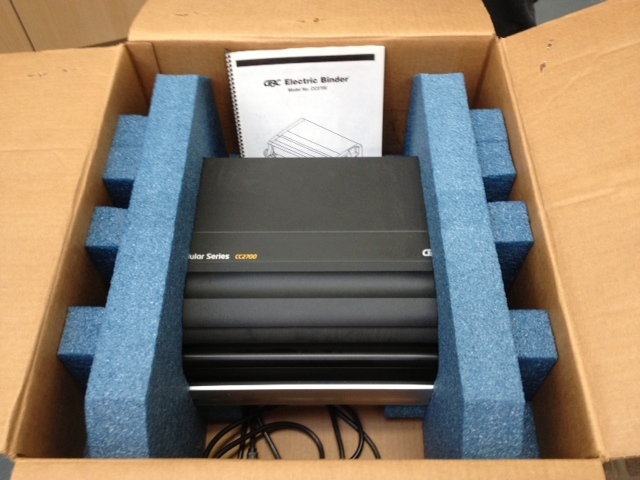 This coil binder has been designed to work with any GBC modular punch. Adjustable roller knobs will adjust to three different positions allowing for maximum roller contact. The Renz 42SE and 62SE Professional Spiral Binding Machines will bind prepunched books, calendars and documents up to 620mm in width. 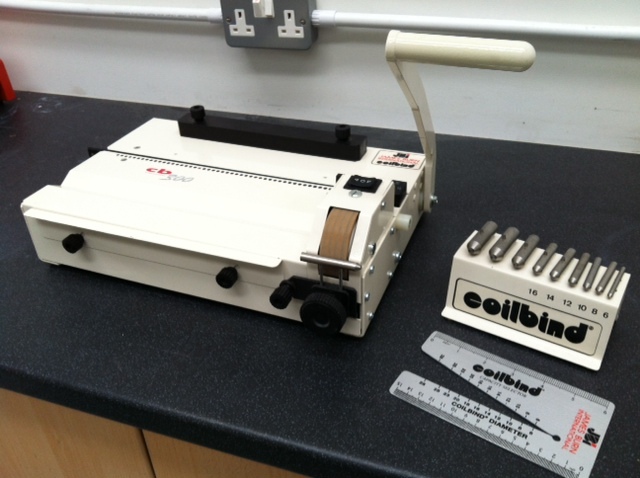 The only difference between the spiral binding machines 42 SE and 62 SE is the working width. There is no problem with oversized calendar sheets or different size sheets, provided that the oversized sheets correspond to the unbound side. The wire is fed from a standing storage (barrel or spool). 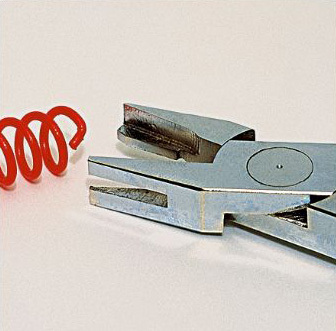 Special rectifying tools take out any twist and straighten the wire. The wire is guided via guide rollers to the mandrel which forms the diameter of the spiral. The pre-punched product is placed onto the book supports. By starting the machine the spiral is introduced into the perforation. The needed spiral length is adjusted at the electronic wire length´s control. The machine stops automatically when the wire reaches the reqired length. The spiral is cut off and both spiral ends are bend inwards. The machine is ready for the next cycle. A special support is available for incorporating calendar hooks/hangers. The operation cycle is controlled by a foot pedal and knee switch from a comfortable seated position. Both hands are free for feeding and taking off. The simple operation and short change-over times for other jobs make the machines profitable even for small runs or medium productions. 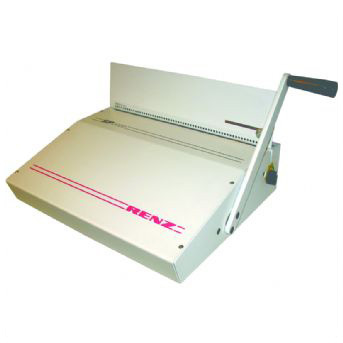 The Renz APSI 300 Spiral/Coil Binding Machine is a semi automatic binder for finishing documents of up to 430mm wide (APSI 420 Model). 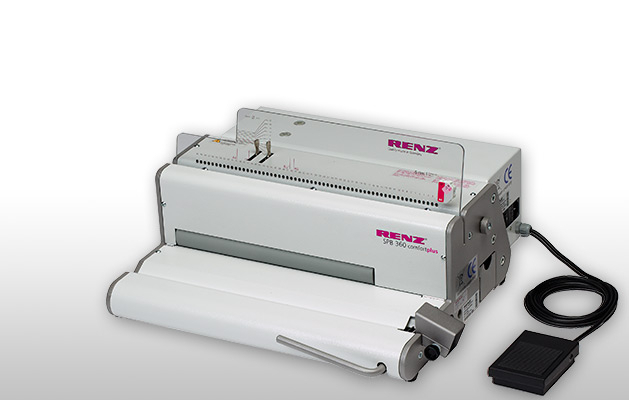 The Renz CBS 340 Electric Spiral Inserting Machine can be used as a stand alone machine or a modular unit that can be attached to the Renz DTP 340M to create a full binding system. It has an intergrated manual cutting and crimping unit. It can insert spirals of up to 20mm in diameter. 2 free boxes of Renz spirals included (your choice of size and colour). Free next day delivery. 2 year warranty and an on-going 30% discount on genuine Renz ring wire! Can also be used as stand-alone machine. No module holding device necessary. 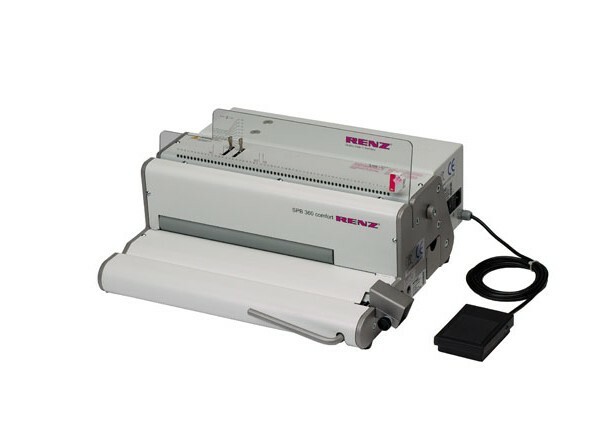 The Renz SPB 360 Comfort Spiral Binding Machine is an electric binding system for spiral/coil binding. The punch is opearted by electric foot pedal and the built it electric spiral inserter means this machine is highly productive and very user friendly. The Renz SPB 360 Comfort punches oval holes in 6mm pitch. 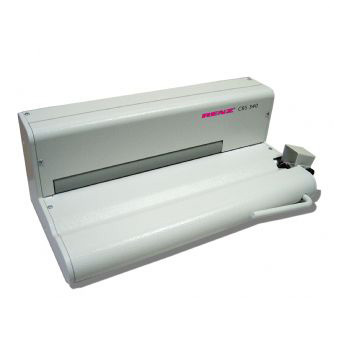 It has a binding capacity of up to 170 sheets. Including electrical spiral inserting device with plastic spiral cutting and bending knife (for metal spirals a SC-pliers is necessary). 2 free boxes of Renz wire included (your choice of size and colour). Free next day delivery. 2 year warranty and an on-going 30% discount on genuine Renz ring wire! Excellent condition ex-showroom James Burn International CB 300 Coilbind Spiral Binding Machine. This machine has seen very little work. 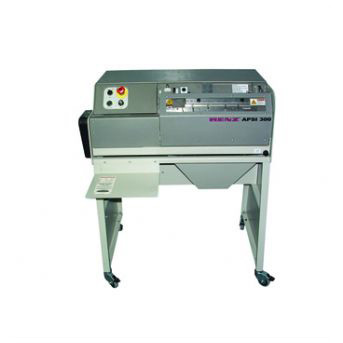 The James Burn CB 300 spiral binder is a manual punching machine with built in electric spiral inserter. The manual punch will punch paper formats of A5, A4 and up to A3 on the short edge. The electric coil inserter allows for operator ease of use and offer a 2 way function to insert or take out the plastic spirals. It has a rotating side lay for accurate knocking up of each paper format. 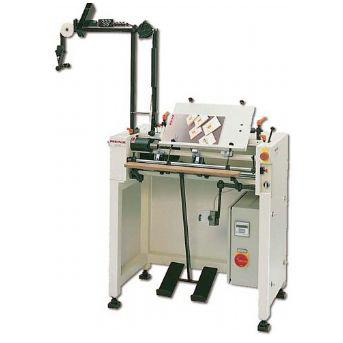 This machine is robust and realiable such is what we have come to expect with all James Burn machinery from, professional down to this office binding machine.